Did You Know? More Visibility of Your IT Assets Enables Better IT Security. If you could see your network assets the way hackers do, you’d know a lot more about your vulnerabilities. To secure your information systems requires control and continuous visibility of the entire network and its various components. Title: Did You Know? 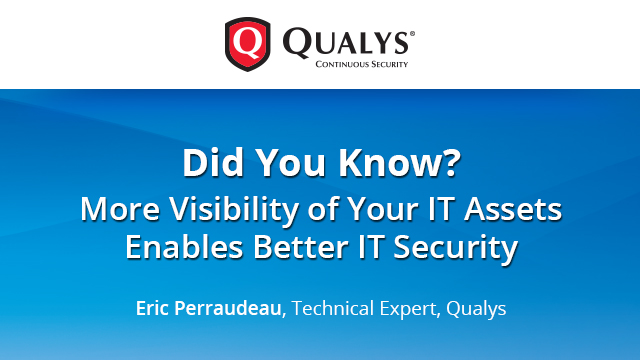 More Visibility of Your IT Assets Enables Better IT Security.